With many historic influences, Sri Lanka has formed a unique style of fusion cooking. It draws heavily on Indonesian and South India dishes, with some Dutch influence mixed in. The clashing of styles has resulted in a special Sri Lankan style which is not to be missed. Where are the best restaurants in Sri Lanka? We’ve listed some top restaurants serving Sri Lankan specialities to make sure you taste the best that this country has to offer. Seafood is a great option when in Colombo as a fresh catch is brought in every day. Many restaurants display their produce on a seafood counter allowing you to choose exactly what you eat. The Lagoon takes the seafood counter to the next level. The daily fresh catch is stacked on giant ice counters creating an entire Seafood Market. They are known not only for variety but also quality. While The Lagoons Sri Lankan dishes are delicious, the Indian and Thai flavours are also superb. This is certainly a high end choice, with prices to match. However the freshness and flavours make it worth the bill! The Gallery Cafe is part of the Paradise road complex and is a must visit in Colombo. The stunning architecture and atmosphere draws in tourists and keeps locals returning. The food is Sri Lankan with a range of international dishes. The black pork is highly recommended and every meal should be topped off with a delicious chocolate focused dessert. This famous Colombo restaurant celebrates the best of Sri Lankan seafood. There are no prizes for guessing the speciality- crab. Diners can choose the size of the crab from an astonishing range. Meanwhile, the variety of flavours transforms this Sri Lankan staple into a gourmet feast. With the ‘Crabzilla’ weighing a huge 2kg, it is perfect for groups who like to share. 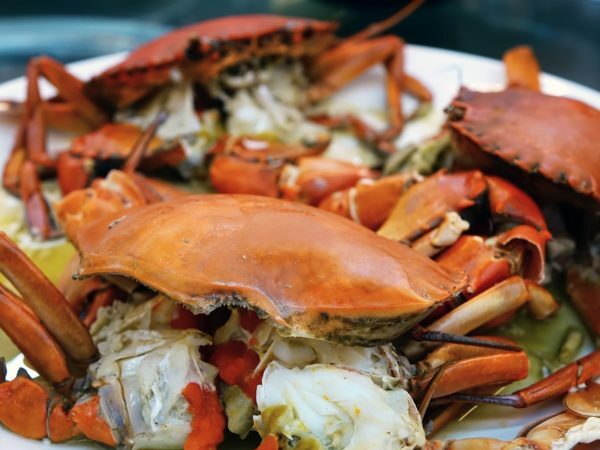 The chilli and garlic crab is a favourite, and the curry crab is a modern twist on a Sri Lankan classic. Check out our villas near Colombo. 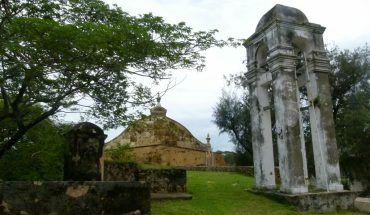 Galle fort is home to modern and sophisticated bars and restaurants on every corner. You can get every type of cuisine for a range of different budgets. A short stroll down the cobbled streets will give you plenty of dining options, but this is one of our favourites. Church Street Social has all the modern elegance of a top London Restaurant. While the exceptional food keeps customers returning, the warm service makes it special every time. 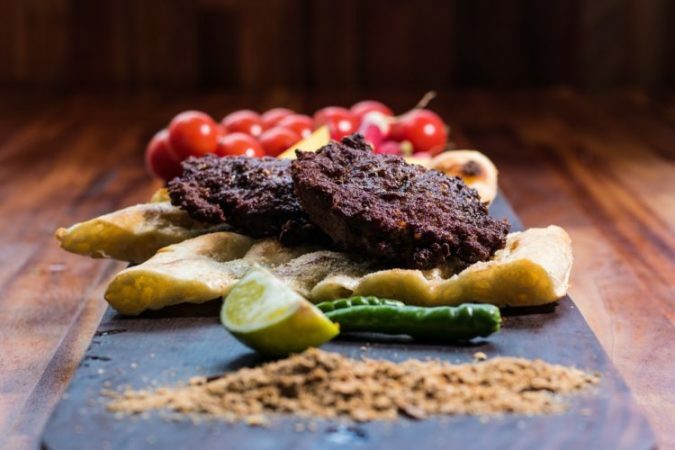 The fusion of Middle Eastern, Asian and Sri Lankan flavours makes this restaurant unique. All ingredients are locally sourced and the presentation is superb. If you visit for brunch, be sure to try the traditional Egg Hoppers and some of the best coffee in Sri Lanka. Church Street Social, 26 Church Street, Galle, +94 77 007 2597. This budget restaurant is tucked away in Galle fort. While it doesn’t look like much at first glace, the rave reviews have made them a local hot spot. The ’10 curries’ dish appeals to tourist who want to try all the main Sri Lankan flavours. Designed for sharing the ’10 curries’ is serves as small plates which can be mixed or sampled alone. The prices remain low and the service is friendly making this a great lunch spot. Pedlars Inn open fronted restaurant draws tired shopper in, with the promise of Italian coffee. Once inside you will find a calm atmosphere with attentive staff and tasty food. While this is a good spot to grab a coffee and snack, the full menu is also worth trying. There is a great range of seafood which can be served with crisp string hoppers. 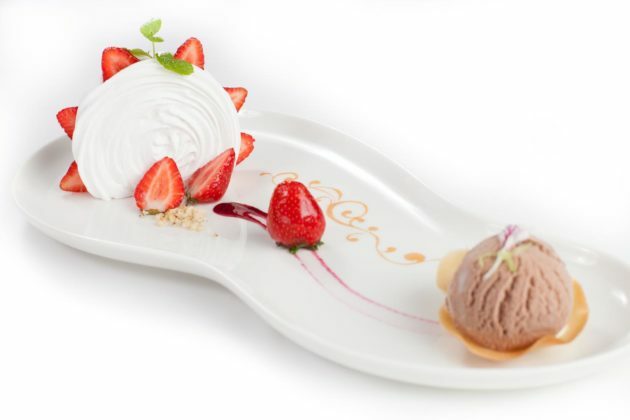 If you can fit in dessert then the gelato is definitely worth a try. Check out our villas in Galle. 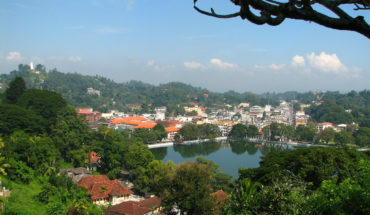 Kandy is the second biggest city in Sri Lanka so choosing where to eat can be tricky. 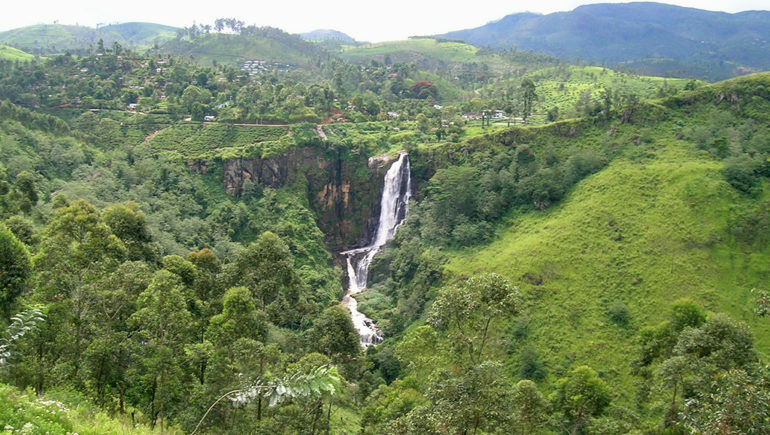 One of the best things about Kandy is the stunning green vista’s, so choose a restaurant with a view. This Manor house has been converted into a chic hotel and restaurant, perfect for romantic meals out. Their modern take on Sri Lankan classics are visually stunning and don’t disappoint on taste. The fragrant rice and poached fish is simple but delicious and the backdrop allows for a perfect romantic evening. 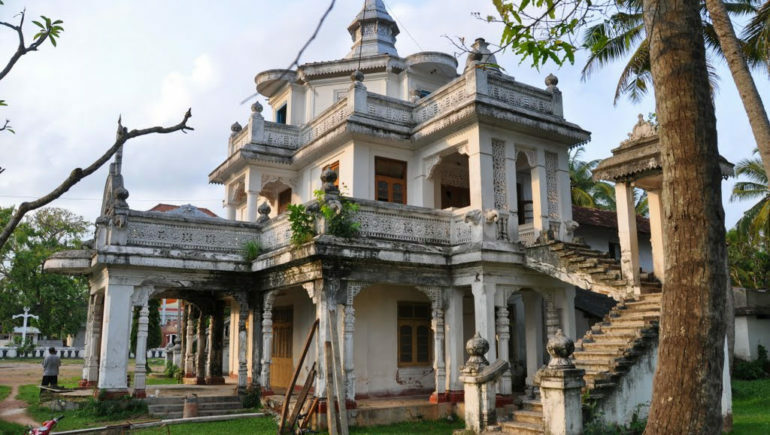 Kandy House, Amunugama Waluwa, Gunnepana, Kandy 20270, +94 81 4 921394. This ‘all in one’ cafe/restaurant is a great spot for lunch, dinner or even just a slice of cake. The ground floor cafe is lively and modern. While the first floor restaurant is relaxing and calm. The Indian/ Asian flavours are great and they have a wide range of choice. We recommend the steaks which can be cooked the way you like. Perfect if you want a night off curry. The views at Theva Cuisine are some of the best in Kandy. Based 10 minutes outside of the city it feels like a retreat from the hustle and bustle. With an outdoor eating area to maximise on the views this is a perfect spot for breakfast, lunch or dinner. The traditional Sri Lankan breakfast is not to be missed, while the fish curry is a great lunch option. With the menu also offering western options, this is a great choice for a group with different preferences. Check out our villas in Kandy & Hill Country. The range of restaurants in Sri Lanka is vast and suits every budget and taste. These restaurants will give you a chance to taste some unique Sri Lankan dishes. From egg hoppers to fish curry, you’ll be sure to taste some true Sri Lankan Classics! See our villas in Sri Lanka. Inspected and selected by Villa-Finder.com.